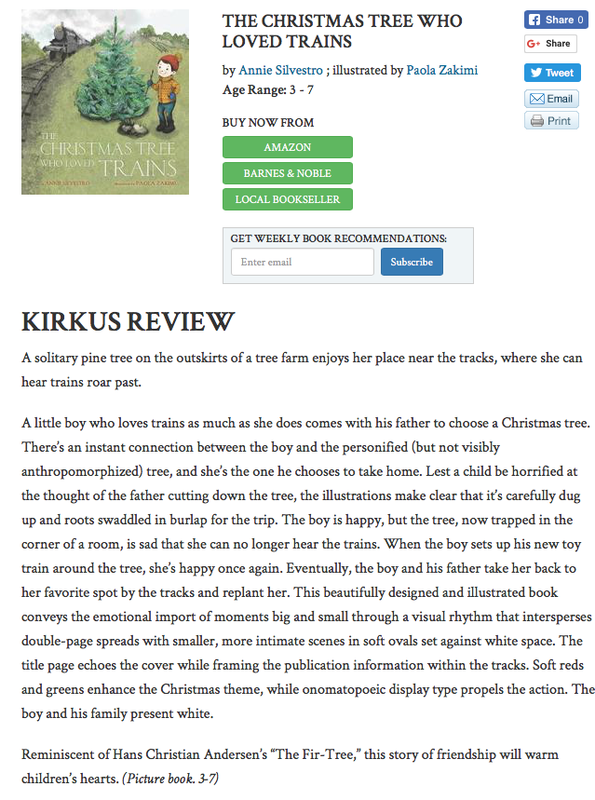 Thrilled by this fantastic review of THE CHRISTMAS TREE WHO LOVED TRAINS from Kirkus Reviews! "Reminiscent of Hans Christian Andersen's "The Fir-Tree," this story of friendship will warm children's hearts." Check out the full review here! On Tara Lazar's STORYSTORM '18 Blog! Author interview on Magnolias & Manuscripts! MICE SKATING on Maria Marshall's Perfect Picture Book Friday! The Picture Book Buzz - author interview! MICE SKATING'S journey to publication on Kathy Temean's Blog! Wonderful review and launch party photos on the Play. Eat. Love. blog! Annie is interviewed by author Tammi Sauer on Picture Book Builders! Q&A with Annie on author Laura Sassi's blog, here! Read about Bunny's journey to publication on Kathy Temean's blog here. Q&A with Annie on KidLitTakeaways blog! Amazing review of BUNNY'S BOOK CLUB by librarian extraordinaire, Margie Myers-Culver, here! Loving the library over on Darlene Beck-Jacobson's blog! Vivian Kirkfield features BUNNY'S BOOK CLUB for Perfect Picture Book Friday and also a Q&A with Annie here! Check out Annie's Q&A with author Karlin Gray here. Wonderful review of BUNNY'S BOOK CLUB on Anna Forrester's blog. Annie's guest post on her childhood lovey at Betsy Devany's blog. Read Annie's guest post about writing & baking on Laura Sassi Tales’ blog. The announcements for Bunny’s Book Club, Mice Skating, and The Christmas Tree Who Loved Trains at Publishers Weekly. Check out Picture the Books! An amazing group of 2017 debut authors & illustrators! Visit scbwi.org for information about writing and illustrating books for children.